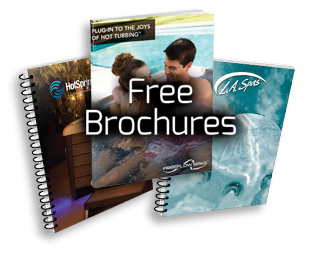 Our comprehensive moving services are available to hot tub owners. Our experienced team will arrive to your spa’s location with one of our trailers. Loading, delivering, and drop-off are included in the price. Prices are for normal delivery circumstances and do not include electrical work, draining, filling, or special deliveries such as the use of a crane. Call our showroom for pricing information. Removing an old hot tub from your property can often be a difficult undertaking. They are large and unwieldy products and can be dangerous to maneuver without a large (or experienced) crew. Let us help. Give us a call for a quote or to schedule the removal* of your old tub. *There may be some value left in your hot tub. We are often able to give customers who want to trade-in their tubs greater value, as the removal of the old tub can happen at the same time the new one is delivered.